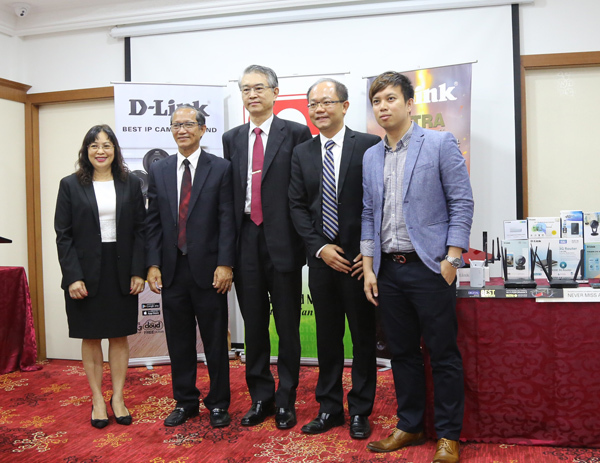 All smiles from Vincent Pao, General Manager of Concepts Computer and Jacky Chang, President of D-Link International as Concepts Computer was handed the certification of Authorised Distributor of D-Link products at Brilliance Hall, Concepts Computer yesterday. Yesterday marked a new milestone for Concepts Computer. 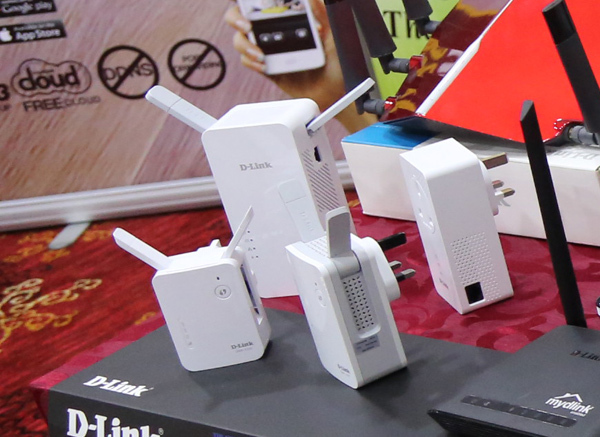 Though we have seen D-Link products before in the local market, it never had an authorised distributor in the country. 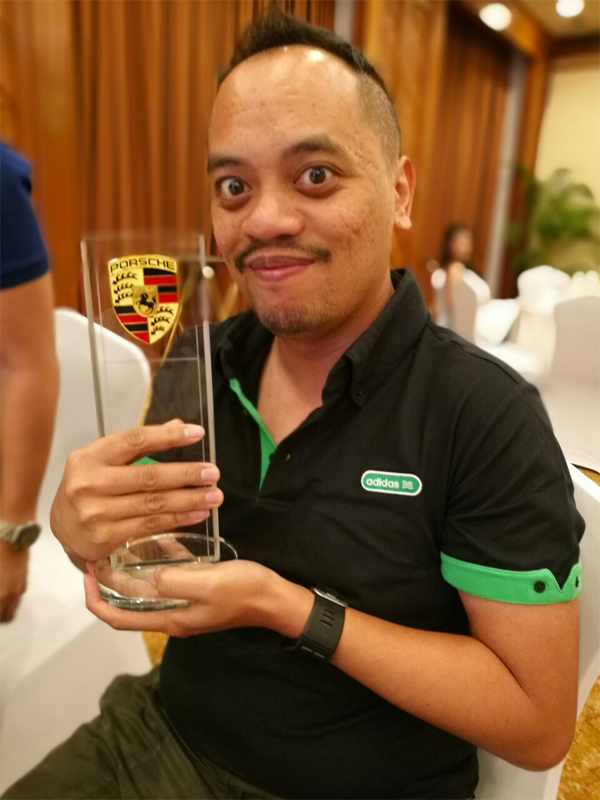 Hence it was the first time for Brunei to recognized as a distributor and partnered with Concepts Computer as their distributor. 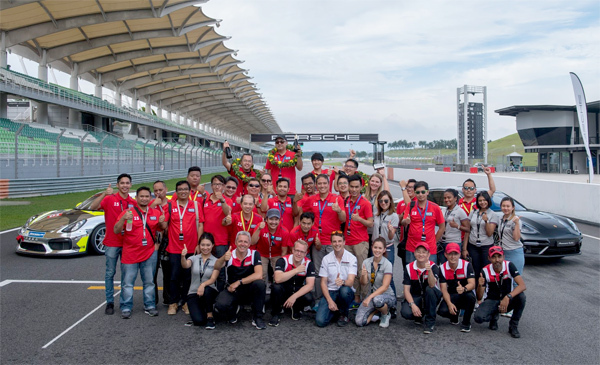 Brunei became the last country in the ASEAN to have a local distributor. 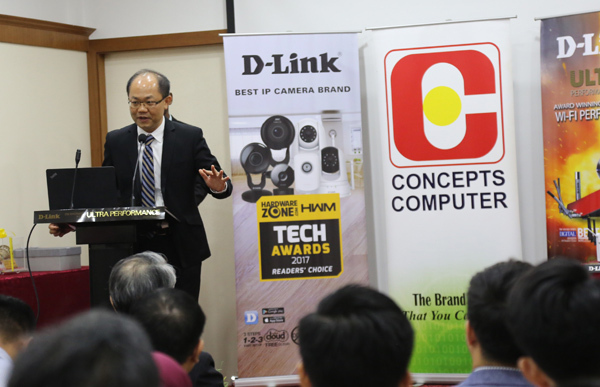 It was the hard work of Vincent Pao, General Manager of Concepts Computer, to make this journey possible and he was very thankful to Mr. Jacky Chang, the President of D-Link International for believing in Concepts Computer to be the authorized distributor for Brunei market. 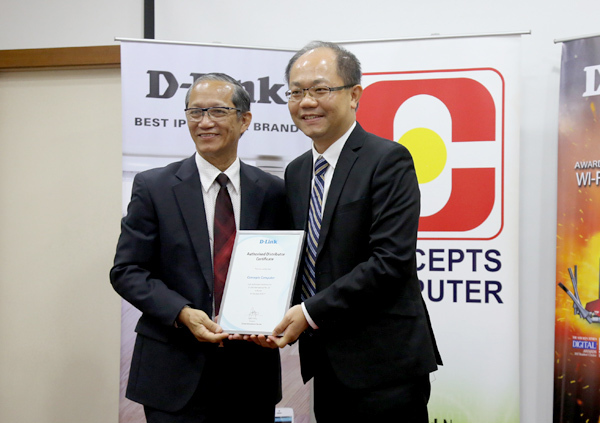 The signing ceremony between Concepts Computer and D-Link International took place at the conference room at Concepts Computer. It was signed between Vincent Pao and Jacky Chang. 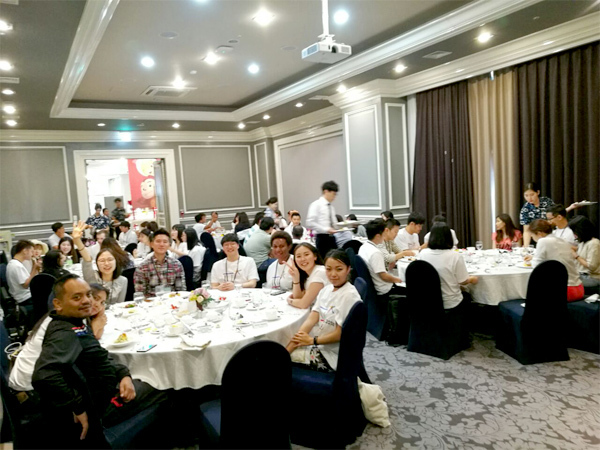 Also present to witness the signing ceremony were William Lin, a representative of Taipei Economic and Cultural Office in Darussalam and Alice Chan, the Financial Controller for Concepts Group of Companies. 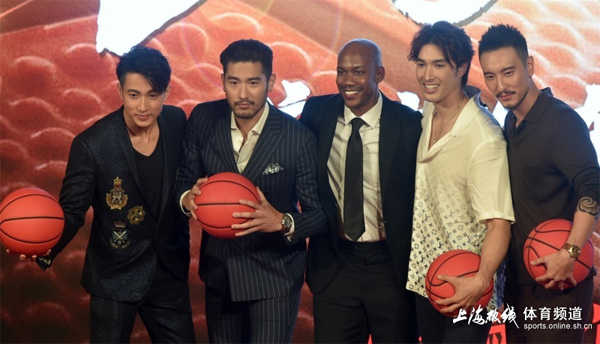 This event was followed by speeches from Vincent Pao, William Lin and Jack Chang. 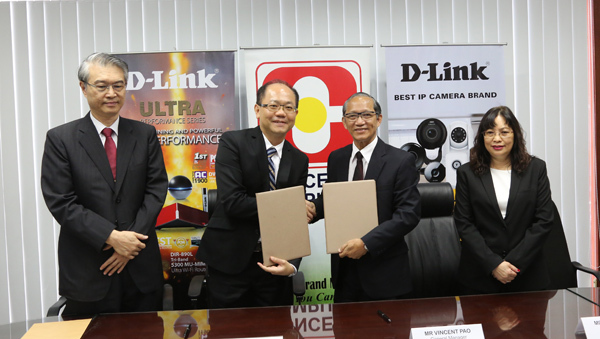 Did you know that D-Link is one of the top brands in Taiwan? It was founded back in 1986 and their core segment is more into networking solutions and it’s no surprise that they have worldwide recognition as leading networking company in SMB segment and Wi-Fi product shipment over the years. 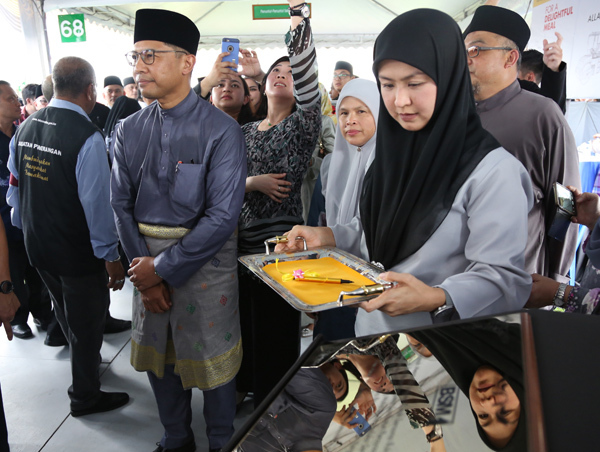 Jacky Chang believed that there is a potential market in Brunei Darussalam as there is a generally high standard of telecommunications infrastructure and services. Let’s not forget that the mobile subscribers has increased to 111% in 2016 from 2015 and this means internet penetration also increased. 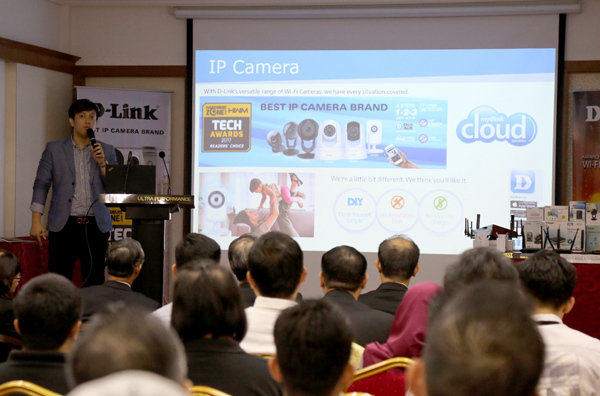 Hence, the products that D-Link offer are relatable to our local market. 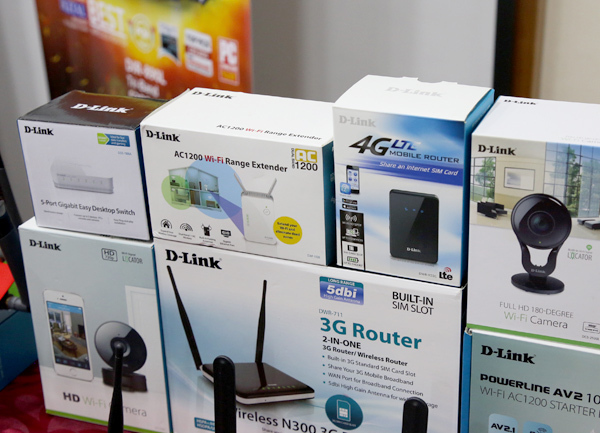 They have various of consumer products such as 3G/4G routers, wired and wireless routers, IP cameras, range extenders, powerline, smart home solutions to name a few. Now if you are looking for SMB products, then there are devices such as managed and smart switches, surveillance solutions, unified service routers and structured cabling solutions and accessories. 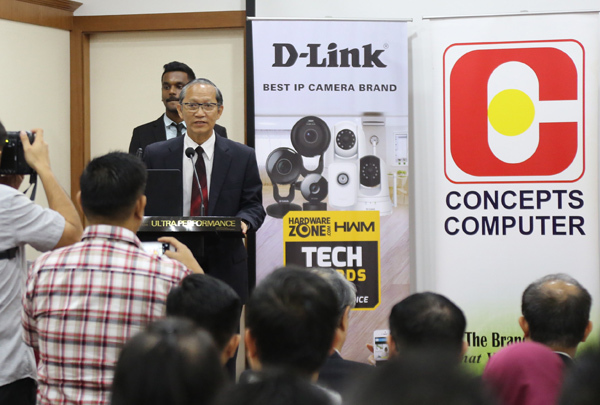 The partnership between Concepts Computer and D-Link will create opportunities to grow in the Brunei market and sees Concepts Computer as one-stop-shop for networking solutions. 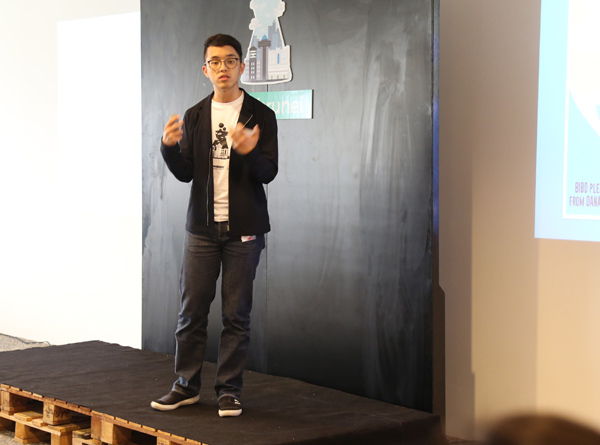 Jacky Chang praised Concepts Computer with the confidence that they will be able to deliver the service to their customers. What products to look out when it comes to D-Link. D-Link’s DCS-5030L. A peace of mind with 24/7 monitoring of any environment. It provides a good range of features to help you monitor large areas of your home or small office anytime, anywhere effectively. Of course it can be linked to your mobile through an app and this makes it easy for users to easily set up the D-Link IP camera in no time. This camera is a standalone surveillance camera that requires no special hardware or software, and can run independently even without a computer. You can even select areas of the video image to monitor for motion, allowing you to effectively monitor areas such as entryways. The smart thing is that you can set volume thresholds to determine the sound level required to trigger a notification. An example could be a sound of a vehicle or even a crying baby. It also powered by infrared LEDs which allow for night time viewing up to 5 metres. Awesome!! This is a highly recommended camera and it’s only BND 148 at Concepts Computer. D-Links AC1200 Wi-Fi Range Extender. If you have a problem of poor connection in your room or home because your router is not strong enough, then the AC1200 Wi-Fi Range Extender might be your life saver. It is a portable plug-in repeater that lets you extend your existing wireless network. The good thing is the device is quite small but it packs a punch when it comes to wireless strength. The AC technology can give you a blazing fast WIF Speed that’s up to 12000MBps and with the dual band, it helps to reduce interference from nearby wireless transmitters at home. Another plus point is that it provides backward compatibility with older wireless devices in your network and makes the wireless connection more reliable. There is also a built-in Gigabit Ethernet port should you want to connect with a cable. This device is easy to use and it’s more like plug and play. 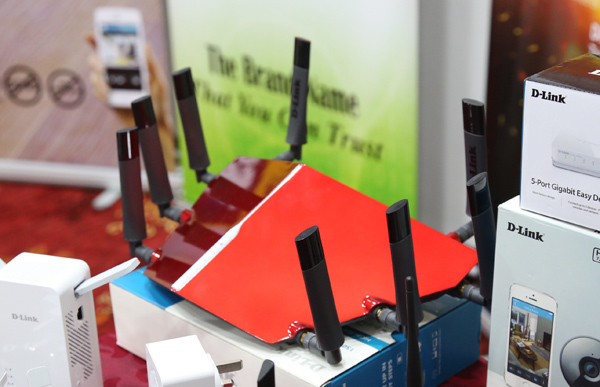 The AC1200 Wi-Fi Range Extender is only BND 75 at Concepts Computer. Check out the Wi-Fi Extender Ranger. D-Link’s DIR-895L AC5300 Tri-Band MU_MIMO Wireless Router. This was the most eye catching device at the display area during the launch. It’s red and it’s huge too. This router delivers premium performance and it is to cater to today’s most demanding tasks such as HD Streaming, gaming and multiple device usage. With speed up to 5.3Gbps, tri-band connectivity, AC SmartBean technology, eight high performance external antennas for maximum range and a new user interface, now your home network coverage will be upgraded to the next level. The in-built SmartConnect technology ensures that wireless clients are connecting to the nest wireless signal automatically so that you can experience the most stable connection. It’s also built based on the latest AC WAVE II standard, let users enjoy lag-free time and seamless internet experience. Just imagine you want to stream youtube or your latest favourite show, Game of Thrones, or perhaps you want play a multiplayer game online, the DIR-895L is the best choice. The tri-band connectivity makes multi-tasking seamless. It’s easy to set up as we’ll and they even have an app for this device. It’s so straight forward that you can set up a secure network with the touch of a button using Wi-Fi Protected Setup. With its clear interface and easy navigation and configuration, end users will truly appreciate its user friendliness. The DIR-895L is available at Concepts Computer for BND 448.
Who will fly to Korea? 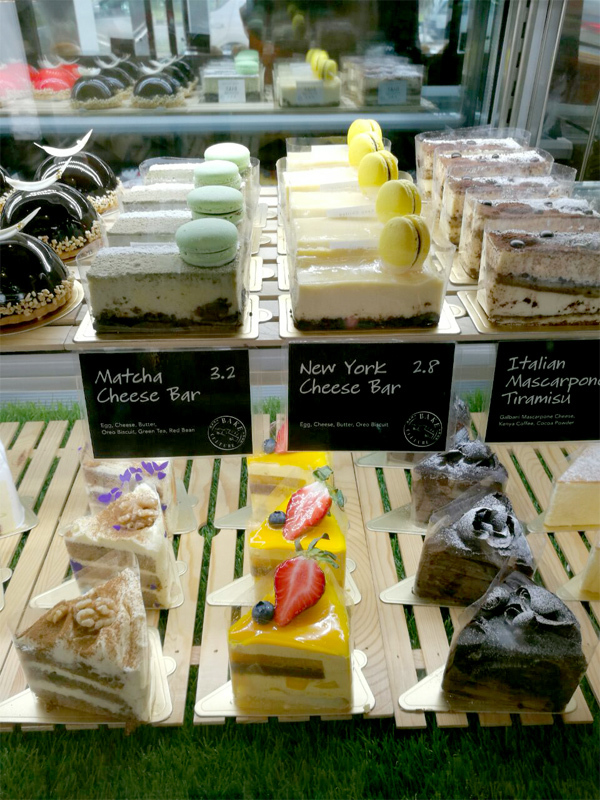 Customer loyalty is an important factor in building a brand. 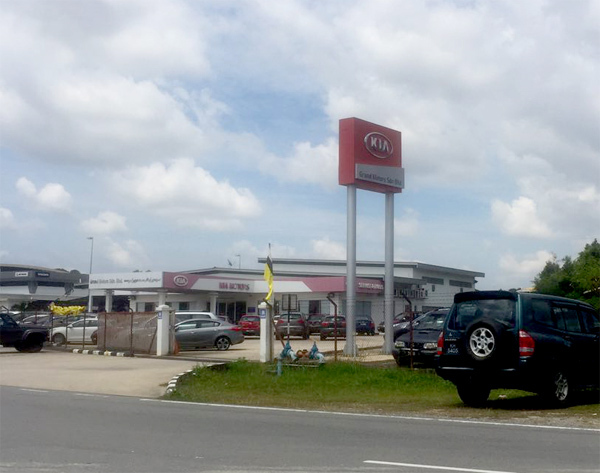 Kia understands the importance of customer’s needs and the value of creating good rapport with them. 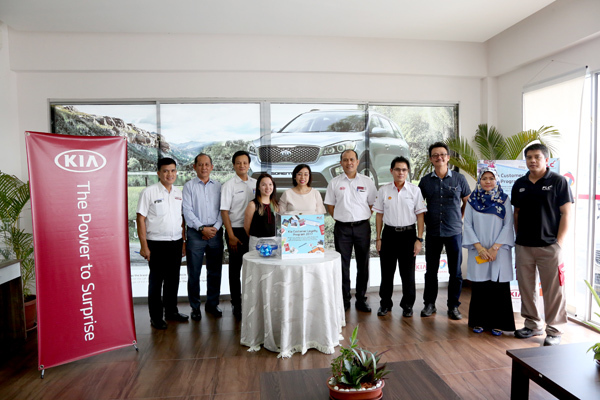 In order to show appreciation for Kia’s loyal customers, Grand Motors Sdn Bhd, the exclusive distributor of Kia vehicles in Brunei Darussalam launched the 2017 Kia Customer Loyalty Program last 19 June 2017. 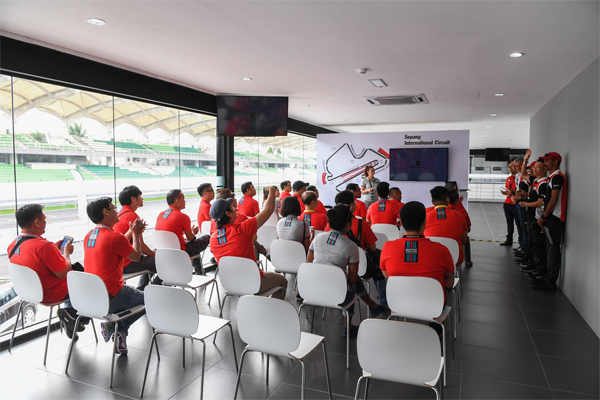 BSB and KB customers who serviced their car at least 3 times from the authorised workshop and spent at least B$100 for service maintenance or repairs are entitled to participate in the draw. The promotion period was from 19 June to 25 July 2017. 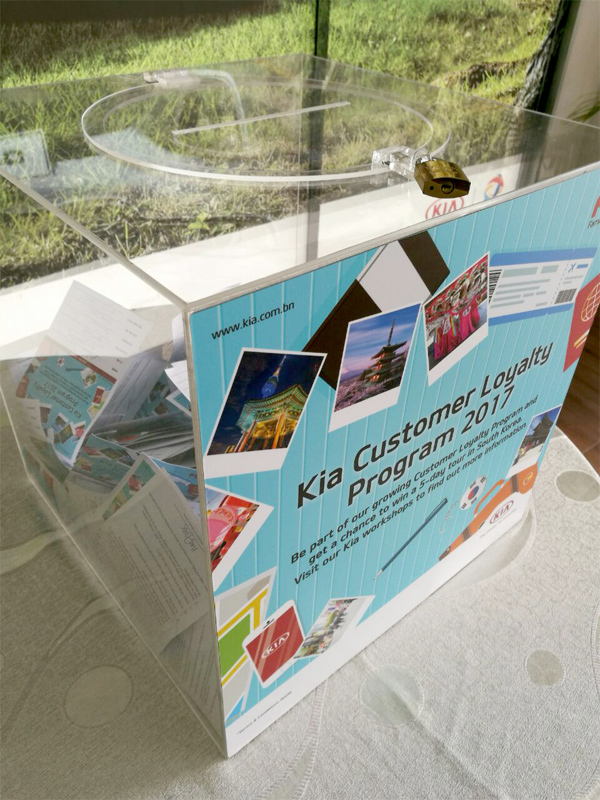 20 out of the 300 customers were shortlisted last 26 July 2017 at the Kia Service Centre in Lambak Kanan. 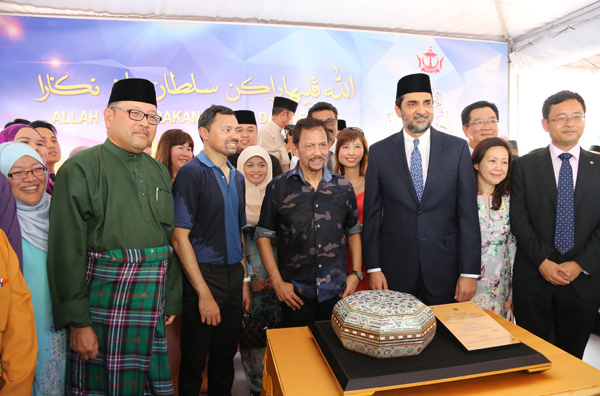 The names were drawn by Haji Zainie bin Suhaili, Commercial Executive of Brunei Shell Marketing Company Sdn Bhd and Mr. Hendry Ang, General Manager of LUB Enterprise. 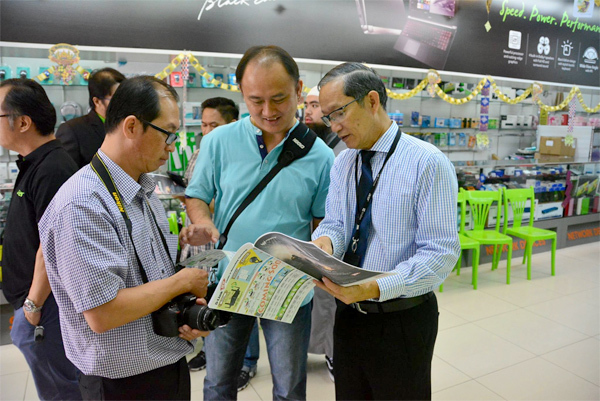 The shortlisted customers will be published in Thursday’s issue of Borneo Bulletin. 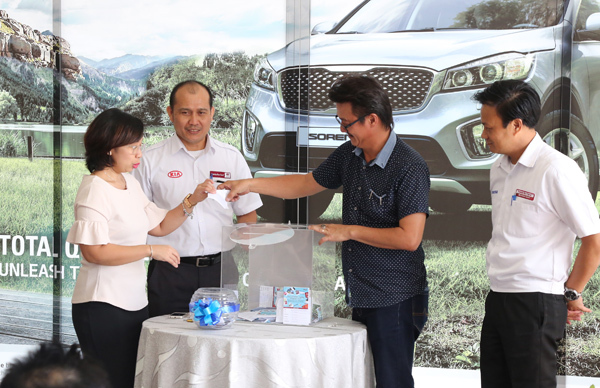 Grand draw will be on the 28th of July 2017, 10:00 AM at the Kia Service Centre in Lambak. Shortlisted customers will be informed through the contact numbers given. 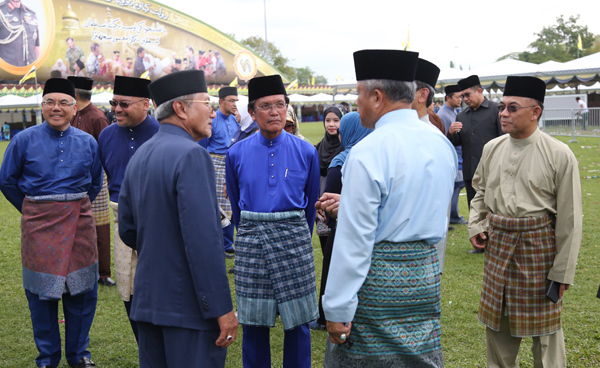 They must present their Brunei I/C on the day of the draw. 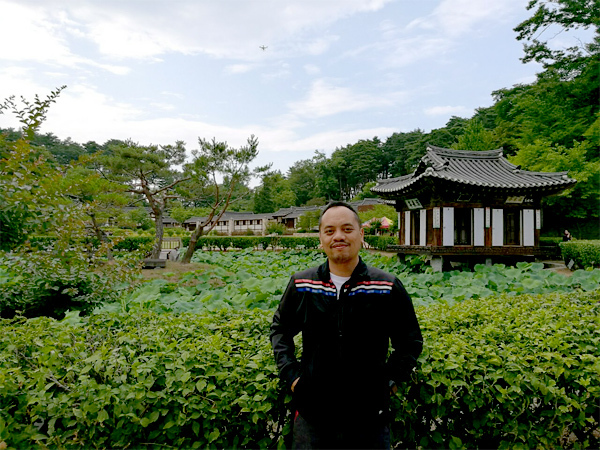 Two lucky winners will stand a chance to win a 5-day tour in Korea which includes airfare, hotel accommodations and a cultural experience tour in the Korean Folk Village, Royal Palace & Insadong. 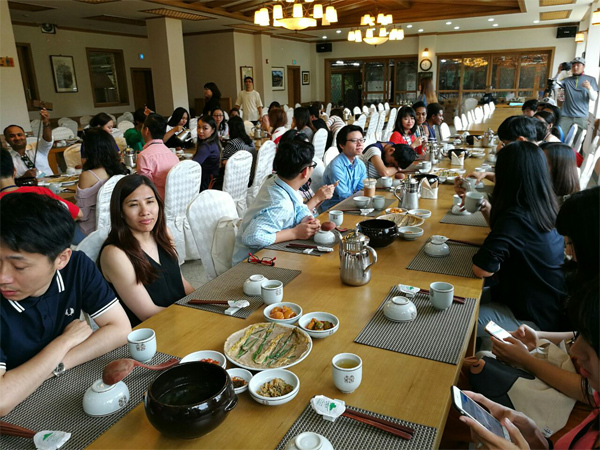 Tour at the Hwaseong Plant and Hyundai Steel Plant are also arranged for them to get a complete feel and experience of Kia’s hospitality in its home country, Korea. 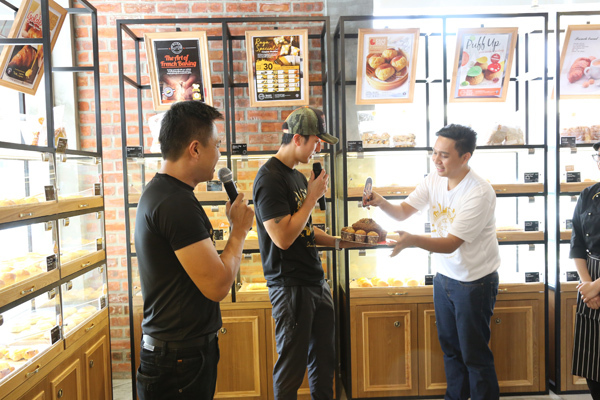 Now, how I wish we can have more of this in Brunei.. I’ve attended many sessions in terms of grooming presenters and pitchers when it comes to presenting business ideas. It’s never an easy feat if you are new but once you get the hang of it or master it, you will enjoy it even more. 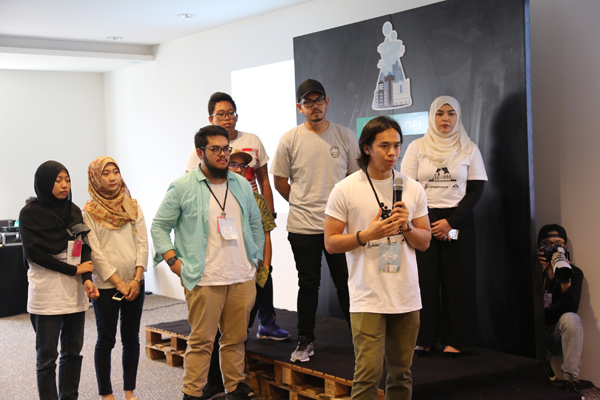 The event known as Startup Weekend Brunei was organised by young, vibrant bunch from the Creative Core BN and the event was held at the Progresif Headquarters Event Hall. 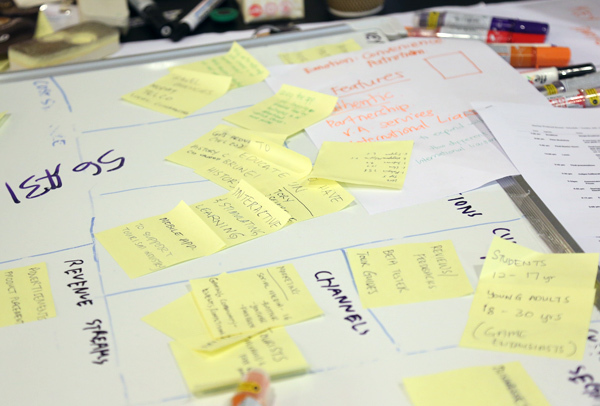 Basically Startup Weekend is a 54-hour entrepreneur workshop and the goal is to create an an environment where passionate people can come together and have an experiential education on all things startup from networking, collaborating and exposing potentials to see real results from idea to action. Sometimes I wish I can still be part of it as my mind is still boiling with ideas and I also realised how I love the business side of things and always open to opportunities if given. 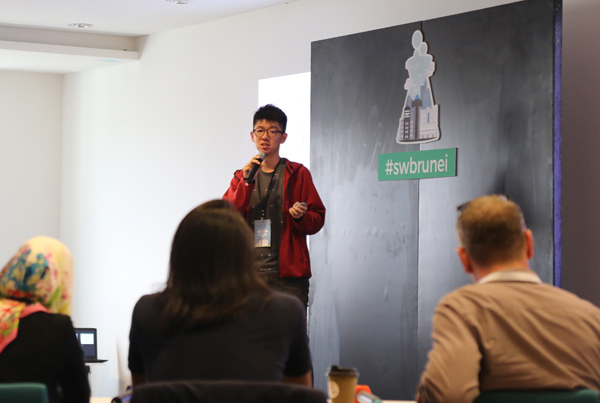 Hence this platform given by Startup Weekend is an excellent platform and only given in a space of 3 days in translating your ideas into a business pitch. The responses were pretty good as they had commendable sign ups for the said event. 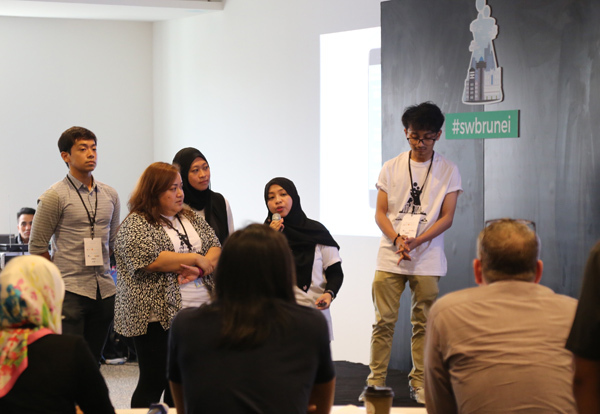 Last Sunday was the final day of the 54-hour entrepreneur week where six teams had to deliver their ideas and its lucrativeness to entice the judges to buy their ideas. 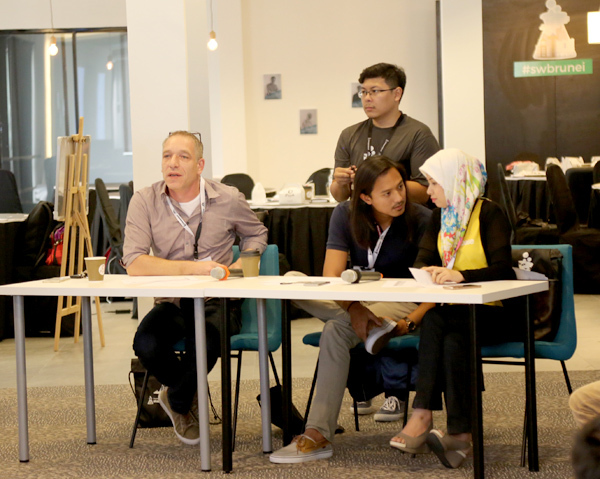 The panel of 3 judges were Radi El-Fassed the Head of Product Development Progresif Cellular Sdn Bhd, Rahimah Yussof thr Co-Manager and WTM Lead, Google Developer Group Brunei and lastly Hamdi Matussin (NJ) Creative Director, Mixmediaworx. 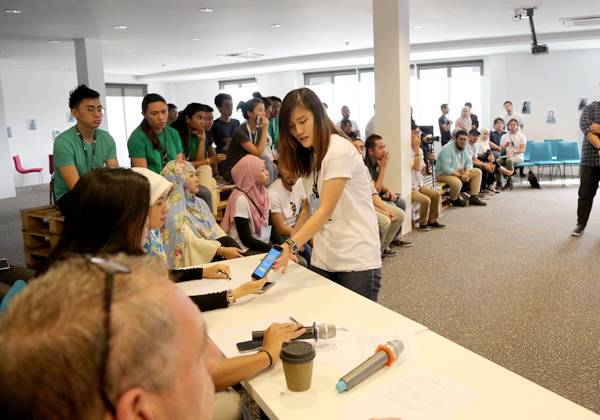 The winner of the Startup Weekend Brunei was team Living Nest. 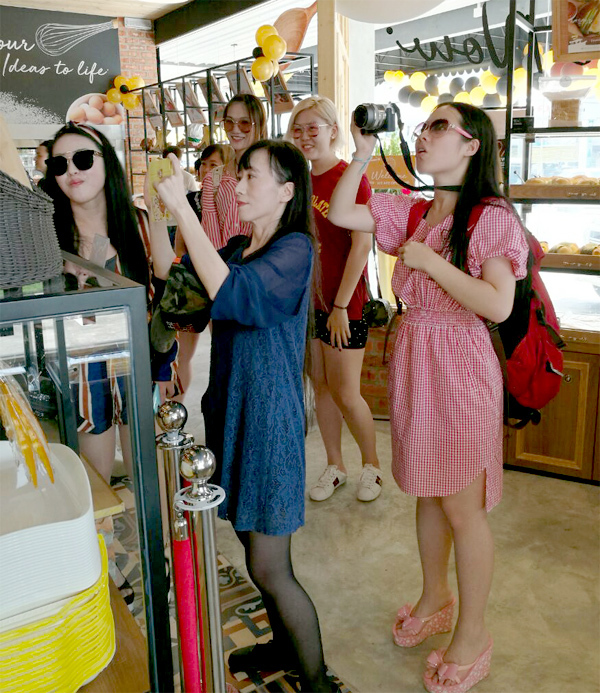 They were awarded with a return flight to Kuala Lumpur and also attend the ASEAN Rice Bowl Startup Awards. Second place went to team Do Good which was my favourite of the lot while team Nakhoda came third place. 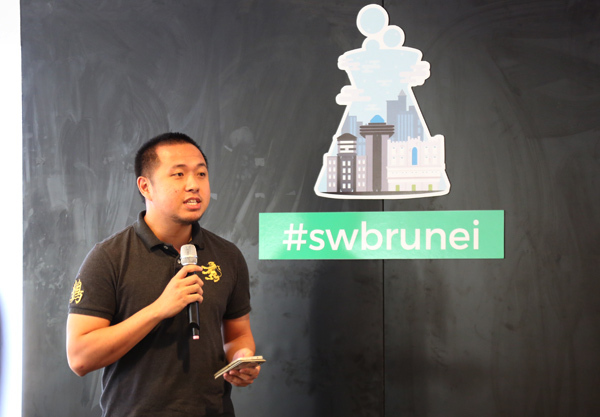 I love this see more of this and I hope other stakeholders can take note on conducting a successful event like how the Creative Core BN has done for the Startup Weekend Brunei. This is also a good awareness program to urge the youth that entrepreneurship shouldn’t be taken lightly or even as a last resort. 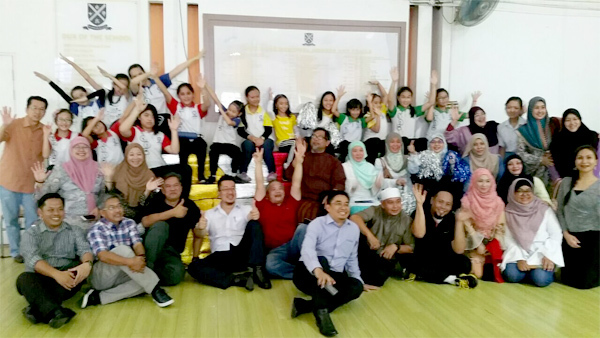 The inaugural weekend long workshop was made possible by support mainly from Progresif Cellular, Bank Islam Brunei Darussalam and Darussalam Enterprise. Keep up the good work. 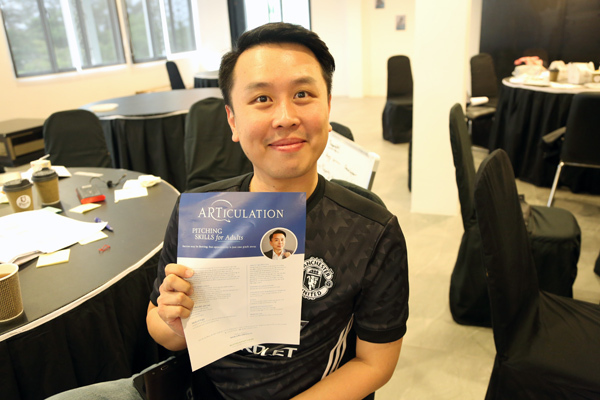 Have you tried Stuart’s Articulation workshop? Highly recommended. 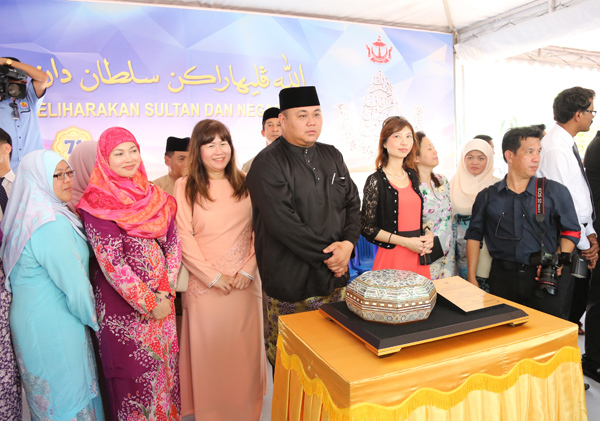 I have missing all these prestigious events and finally I had a taste of Bersama Rakyat with His Majesty Sultan Haji Hassanal Bolkiah Mu’izzaddin Waddaulah ibni Al-Marhum Sultan Haji Omar ‘Ali Saifuddien Sa’adul Khairi Waddien, Sultan and Yang Di-Pertuan of Brunei Darussalamn conjunction with His Majesty’s 71st birthday celebration at Taman SOAS. 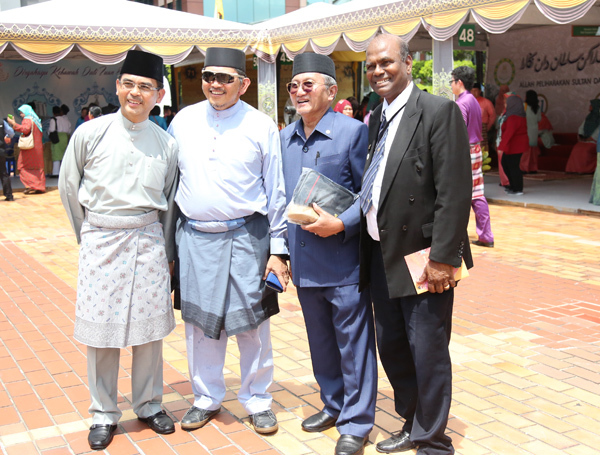 It was not as crowded as previous years but the spirit remains high. 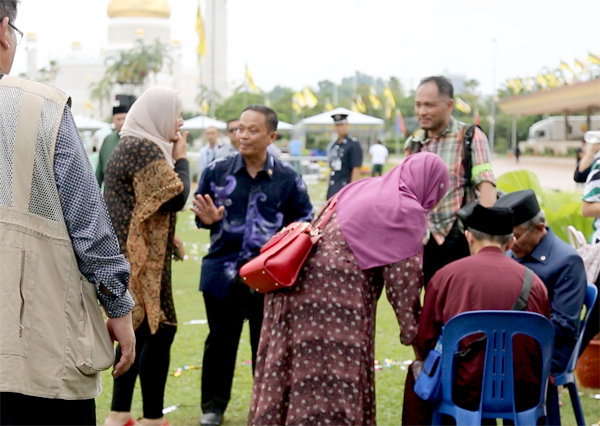 The people of Brunei Darussalam got up close and personal to greet His Majesty the Sultan and Yang Di-Pertuan of Brunei Darussalam and other members of the Royal Family. 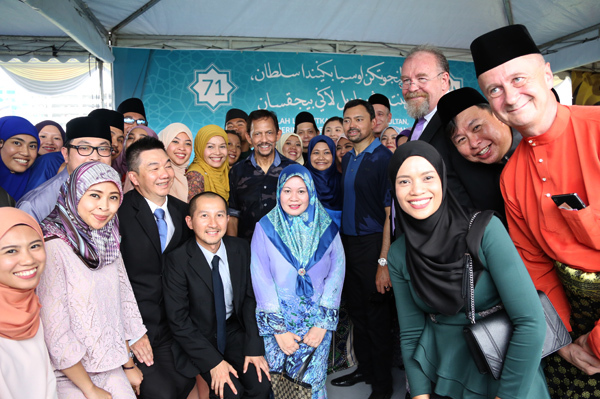 Also attending the ceremony were His Royal Highness Prince Haji Al-Muhtadee Billah, the Crown Prince and Senior Minister at the Prime Minister’s Office; His Royal Highness Prince Mohamed Bolkiah; His Royal Highness Prince Haji Sufri Bolkiah; His Royal Highness Prince Haji Jefri Bolkiah; His Royal Highness Prince ‘Abdul Malik; and His Royal Highness Prince ‘Abdul Mateen. 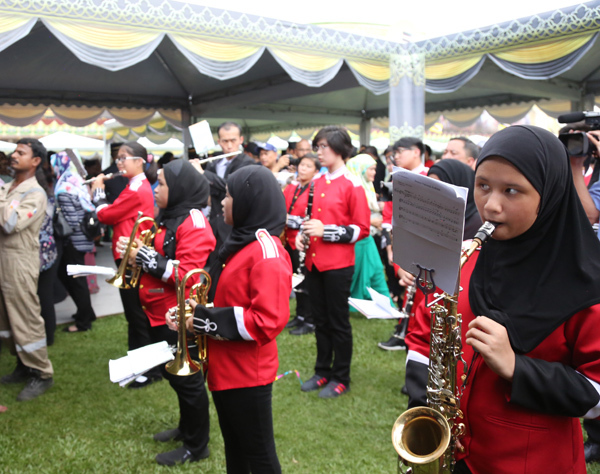 I missed the performances but judging from the pictures, it looked pretty colourful and vibrant. 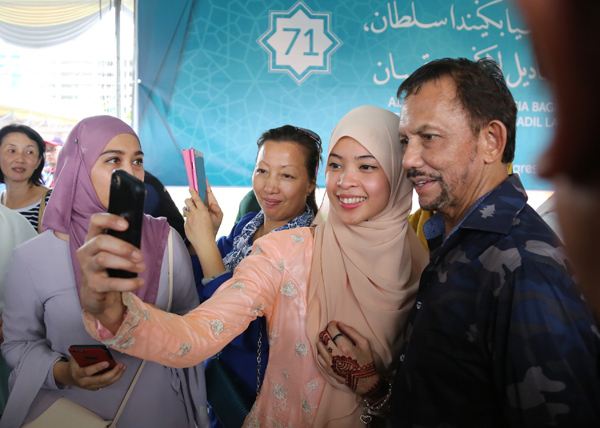 I can’t imagine the stamina and the willingness of His Majesty the Sultan, even at the age of 71, to spend at least 2 hours in the humid conditions to meet and greet. 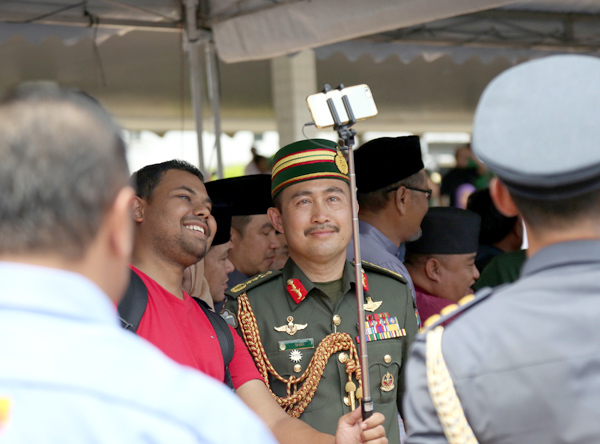 I truly salute His Majesty for his dedication and time to spend time with the people and may Allah bless him for his generousity and kindness. 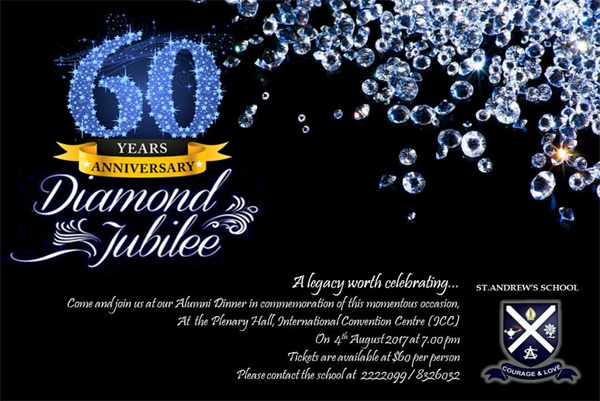 St Andrew’s School will be celebrating her 60th Anniversary at ICC on Friday, 4 August 2017 from 7.00 pm to 10.00 pm. Dinner tickets @$60 per head are on sale in the school. Don’t miss this opportunity to meet/reunite with friends and ex-classmates and I will definitely be attending this event with a few of my old class mates. 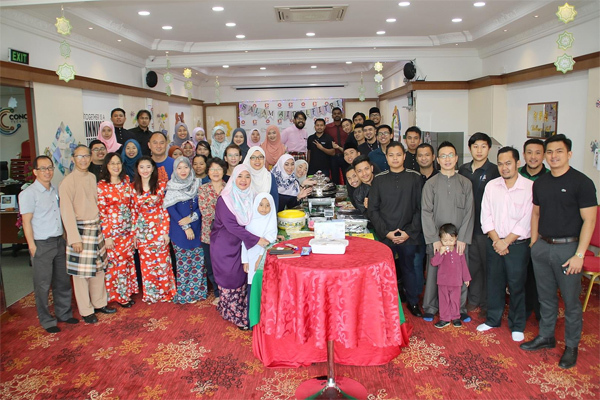 It will be a good time to bring back old memories and have a mini reunion with ex-mates and teachers. 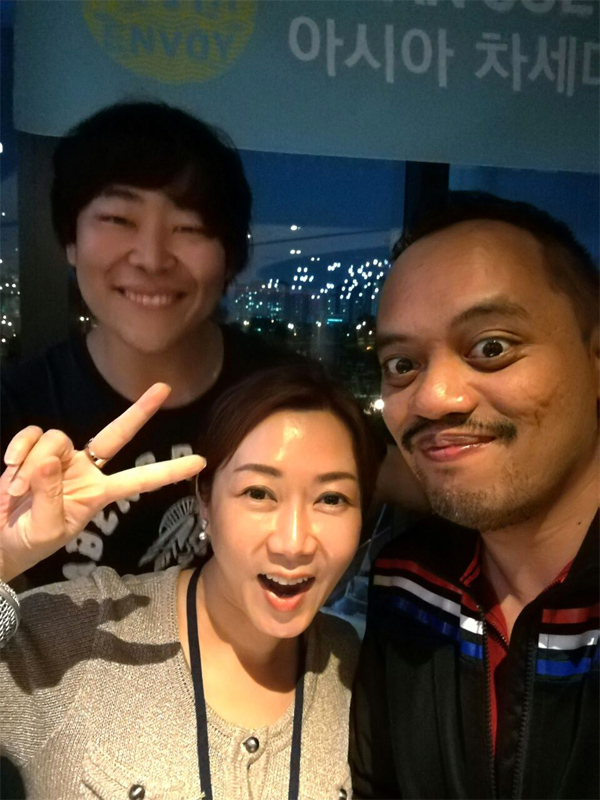 Friends I made during my 5 day trip in Seoul, Korea. Taken late June 2017. 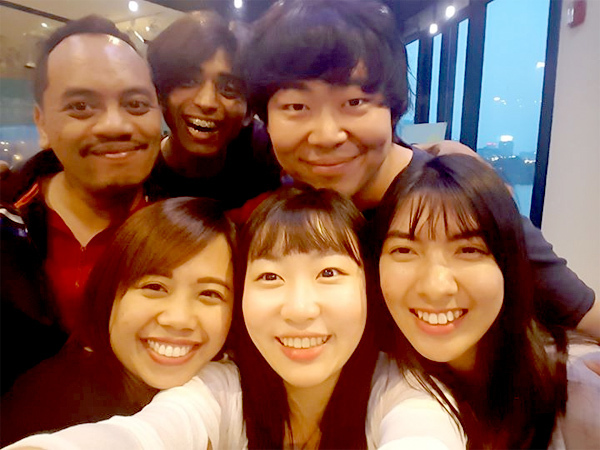 My group mates – Ogia (Papa New Guinea), Ulzii (Mongolia), Mark (Korea), Andrea (Indonesia), Daniel (Korea), Deva (Indonesia), Ron (Indonesia) and Khulan (Mongolia). A huge thanks to Daniel for taking care of our group since Day 1. 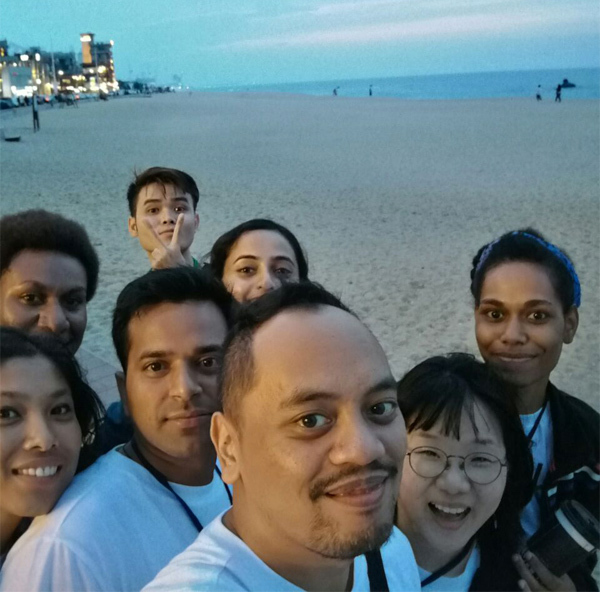 I’m still reminiscing my day in Seoul, Korea during my short visit for the Asian Cultural Young Leaders’ Camp 2017 (25th June to 30th June). It seemed like yesterday but it has been almost a month since that experience. 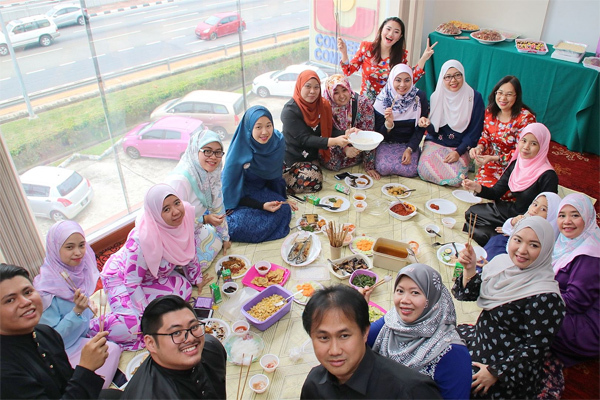 I made the conscious choice to accept the offer even though it was during the first few days of Eid Mubarak celebration. My deepest gratitude to the Korean Embassy to Brunei and the Ministry of Foreign Affairs of Republic of Korea for giving me this opportunity in the first place. 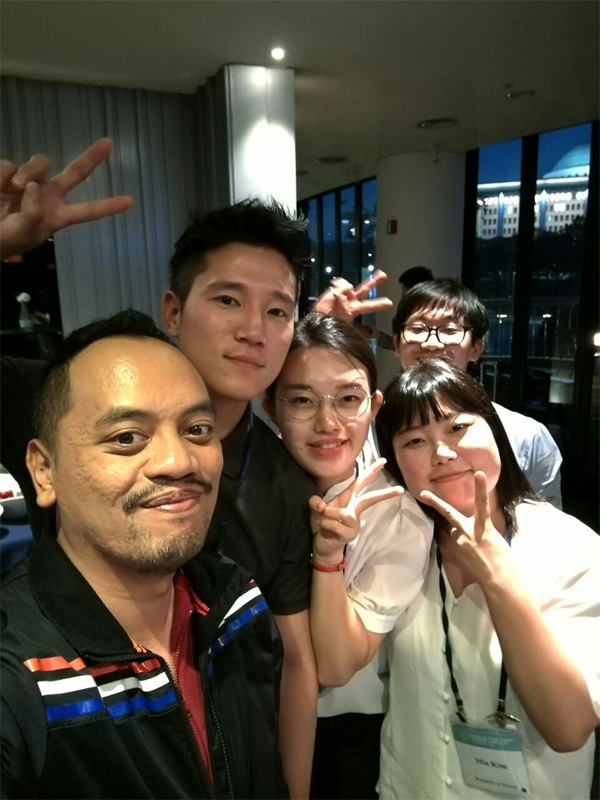 The hospitality was top notch and MOFA (Korea) knew how to take care of all the representatives from Asia Pacific during their stay in Seoul, Korea. We bonded on the first night with the youth from different walks of life. From Japan to Australia to Mongolia to Afghanistan, you name it. It was an emotional farewell on the final dinner before we departed back to our own countries. 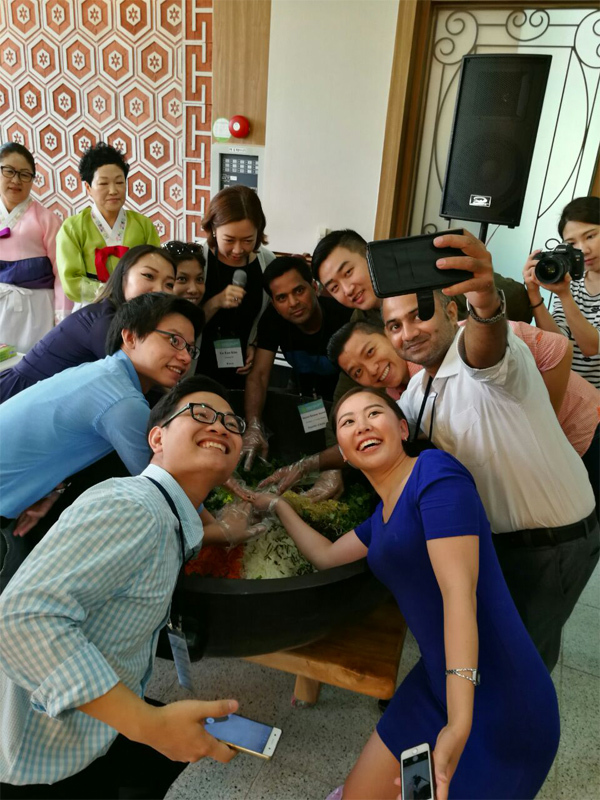 This is my biggest highlight of the Asian Cultural Young Leaders’ Camp 2017 #ACYLC2017 #2017ACYLC – the diplomacy and friendship among different nationalities and cultures. This is a sign of world peace where all of us can get along and make a difference in the world. I just wish for longer days and freer time to further strengthen the bonds and friendship among my newly acquainted friends. I previously shared my story on PyeongChang, the upcoming Winter Games in February 2018. Now let allow me to share my other interesting trips at Korea. First up was the visit to the Ojukheon House at Gangneung near PyeonChang, a few hours ride from Seoul. If you really keen to understand the culture of Korea, this is a must visit territory. Ojukheon House. According to history, Ojukheon House was where Shin Saimdang (1504-1551) lived and where her son Yi I (penname Yulgok; scholar and politician of the Joseon Period) was born. It was built during the early Joseon Dynasty and remains one of the oldest wooden residential buildings in Korea. It was designated as Treasure No. 165 in 1963 and has been maintained by the descendants throughout the generations.The house is made of black bamboo trees and still holding up. The interesting fact is that Shin Saimdang is featured on the Korean Won 50,000 note and still is. Her contribution as a artist and poet back in the 16th century and she’s the only lady being featured on Korean currency. If you are heading for the Winter Olympics at PyeongChang, then do visit Ojukheon House. Seongyojang House. Another place I found interesting was Seongyojang House which was built back in the 1750s. Now why this is a unique place is because it reminds me of Air BnB. Let me share you a bit of history. It was created in 1703 by Yi Naebeon, an 11th generation descendant of Prince Hyoryeondaegun, part of the Hyoryeong royal family during the Joseon Dynasty. 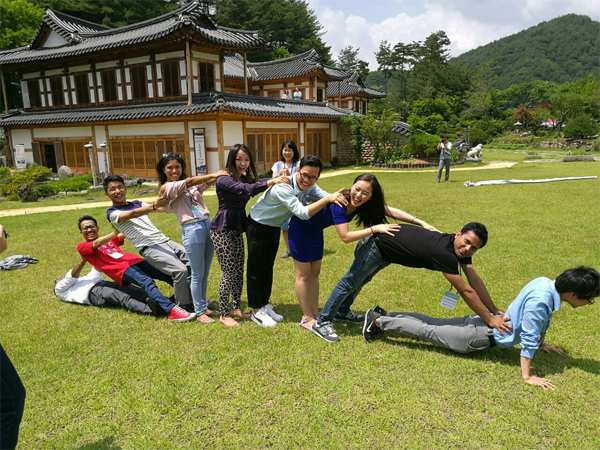 The idea behind Seongyojang House was to promote happiness and joy among relatives living there. Now I was told that back then, the owner of the residence would welcome guests and visitors to stay and they won’t accept any form of monetary in exchange. 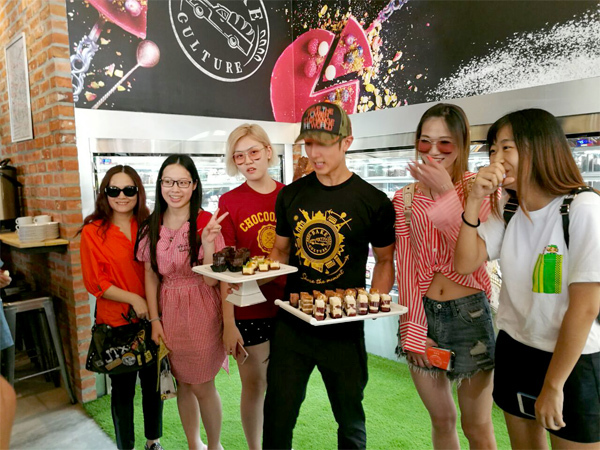 The guests were also well fed by the host and in return, they would shower the host with gifts instead as a sign of gratitude. I’m still surprised that the Seongyojang House is very well maintained after 300 years and has past 10 generations. The structures are still intact and well preserved and it was even selected by Korean Broadcasting System as the top 10 well preserved original dwellings in Korea. 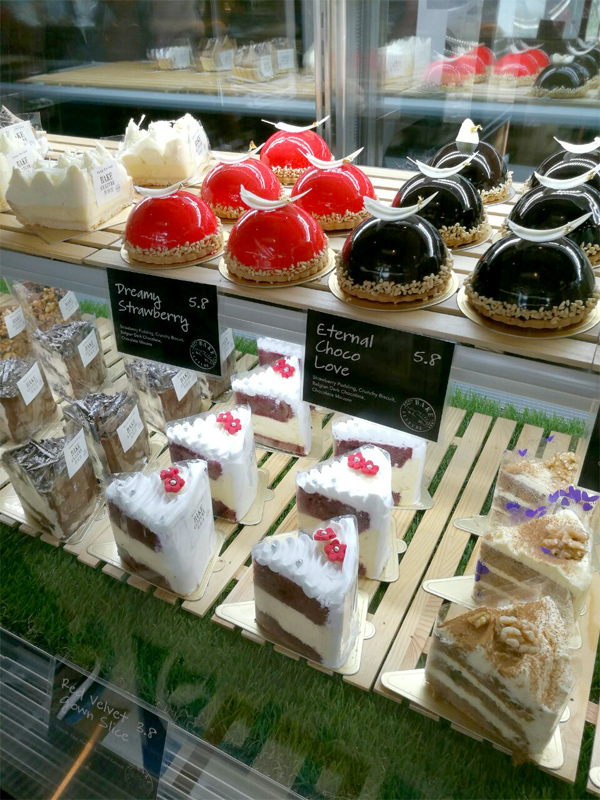 A must visit destination if you are around PyeongChang area. I’m glad that such historical places do still exist and well maintained. The view outside Seongyojang House. An interesting and historical place to visit. Samsung Innovation Museum. 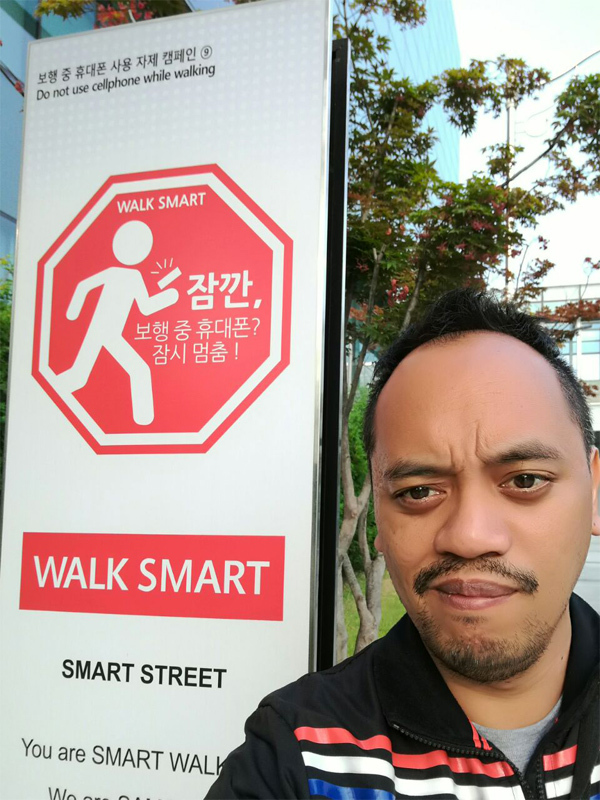 According to Visit Korea, Samsung Innovation Museum (SIM) is a business hall as well as the largest sized industrial electronics museum in Korea, displaying the growing steps of Samsung Electronics Corporation at a glance. It is located inside of Suwon Digital City where Samsung Electronics Corporation was initially established 47 year ago. Starting from the time when electronics were first produced to the current trend of cutting-edge smart devices, the electronic industry has become more and more innovative. 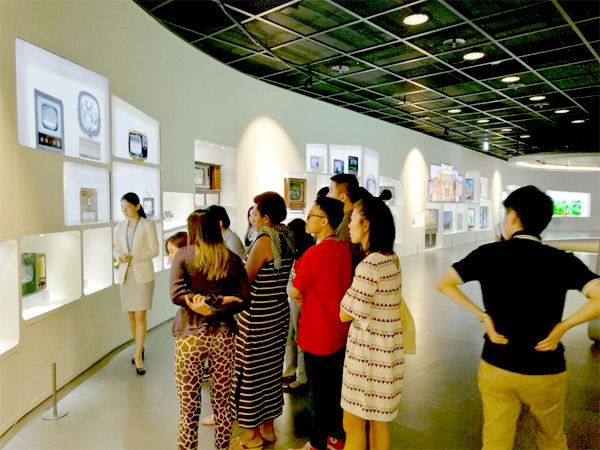 This history of innovation and the future of electronics are reflected in the museum while looking at the various exhibition halls, comprised of History of Samsung, Seeds of Innovation, Core of Innovation and Inspiring Innovation. The halls of Samsung Innovation Museum give a meaningful experience to figure out what innovation really means. Ok, here goes my version – WWWOWWWW!!!! It’s like a city of its own and I could see associates of Samsung just cycling around to get to the other building. It’s also very heavily guarded so no one can simply just enter the Suwon Digital City. I seriously don’t mind working in this environment and it does feel quite futuristic (like in the movies). 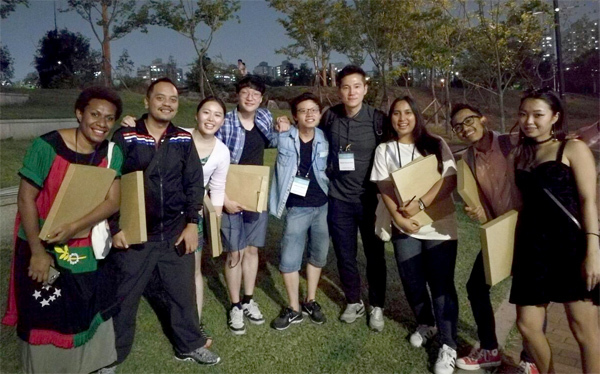 Too bad our group only tasted 5% of the Suwon Digital City. I wanted more but I guess there are restricted area. 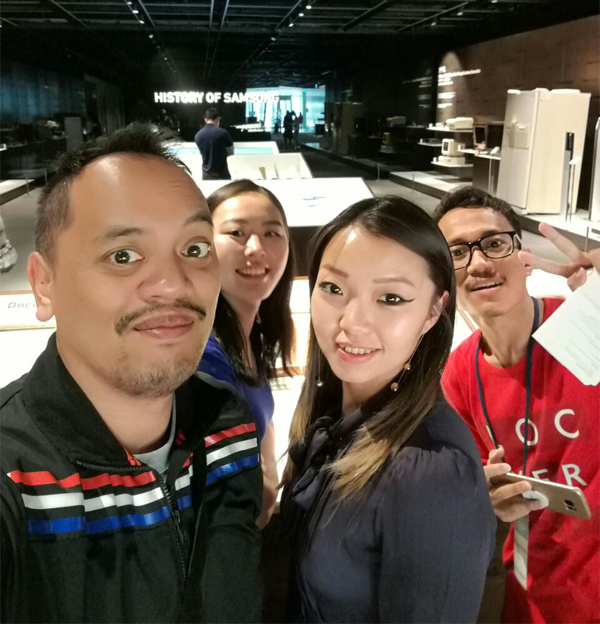 In the museum, you will get to learn of the history of Samsung and also other inventions by inventors and also recognizing other brands that made an impact on our daily lives through time. For instance, the birth of washing machine or vacuum cleaner which helped to cut down longer hours of house chores. 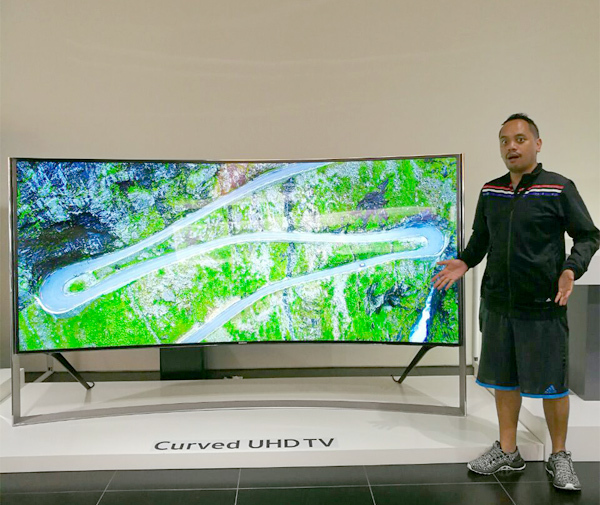 We were being educated on the existence of not just phones and TVs but also on other electrical appliances that play a part in our lives. The admission is free and you will be guided by a museum presenter. It’s open from Monday to Friday but there won’t be any guided tour on a Saturday. You can take pictures but no filming recording is allowed. If you are not even a Samsung fan, this place is still worth a visit. I began to appreciate all these innovations after the tour. Thank you to all the inventors for making all these technological advances possible. Arirang’s Heart to Heart show. 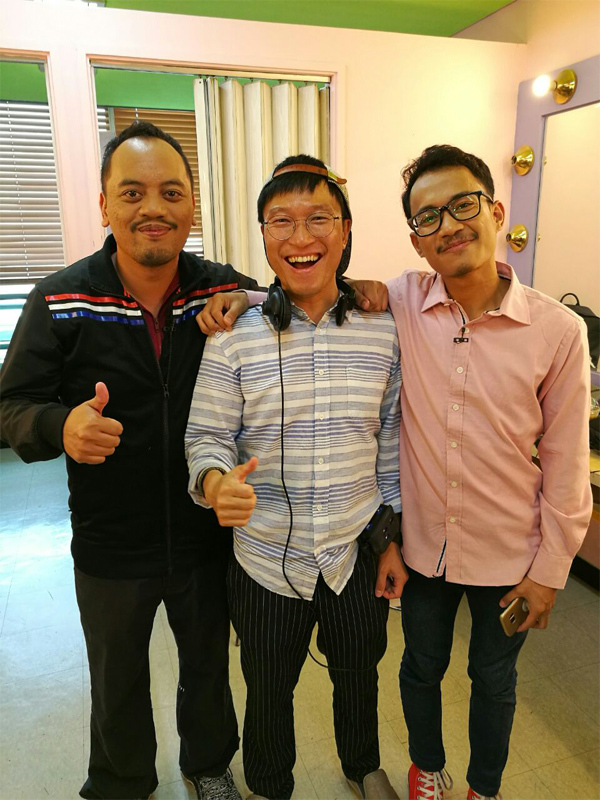 It’s not as easy as 1-2-3 to be selected to be featured on Arirang News, one of Korea’s leading broadcasting news that has global reach of 138 million households. 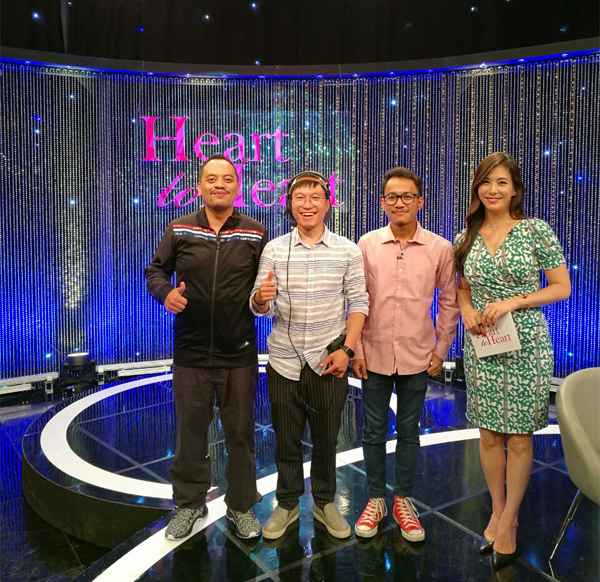 A big thank you to MOFA Korea for making this possible as I was one of the special guests for Heart to Heart show in Arirang TV. The other special guest was Ashani Yusron, a big Hallyu fan from Indonesia. The recorded show for our session will up in one or two weeks’ time. Thank you to Manu (the producer) and Jennifer, the host for Heart to Heart and not forgetting our special friend, Mary. 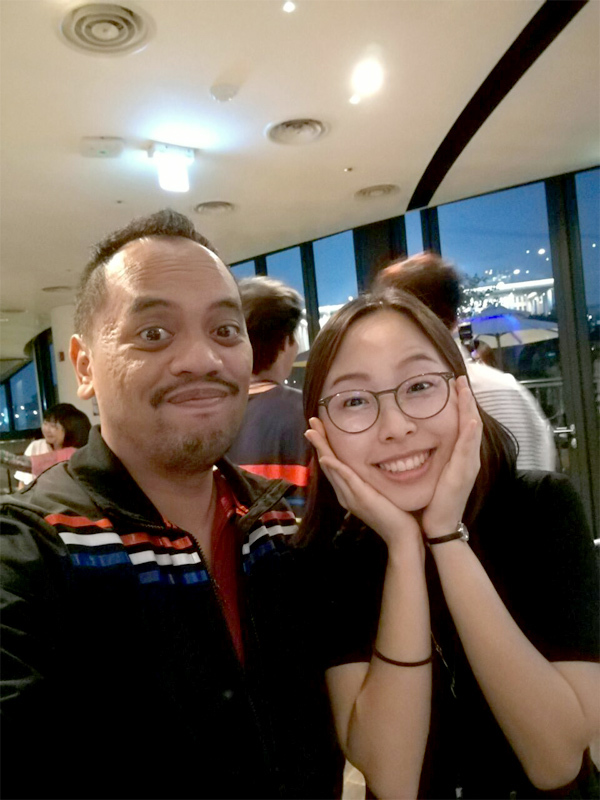 This particular episode talks about our take of Korean culture and how it has been well received in our respective countries and also a bit of background of what we do professionally in the line of being social influencers. I shall keep you posted when the show will be set for release. Thank you once again to Arirang TV for having us on your show. This is definitely a milestone for 2017. Making bimbibap. Yes, this is the real deal. I normally being served at Korean Restaurants in Brunei but this one .. this one is the real deal. You get to see the traditional way of making bimbibap. For your info, bibimbap means mixed rice and in Korea, bimbibap is served as a bowl of warm white rice and topped with namul (sauteed and seasoned veggies, gochujang (chilli paste), soy sauce or doenjang (fermented soybean paste). Other additions are such as fried egg and slice beef. Then you stir the contents inside the bowl before you eat. 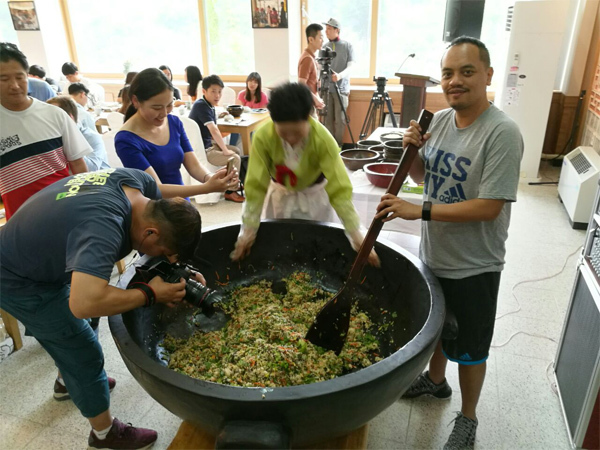 That day we visited a Korean restaurant (can’t remember the name) and we were given the experience to mix the bimbibap in a humungous bowl that is enough to feed at least a hundred people. 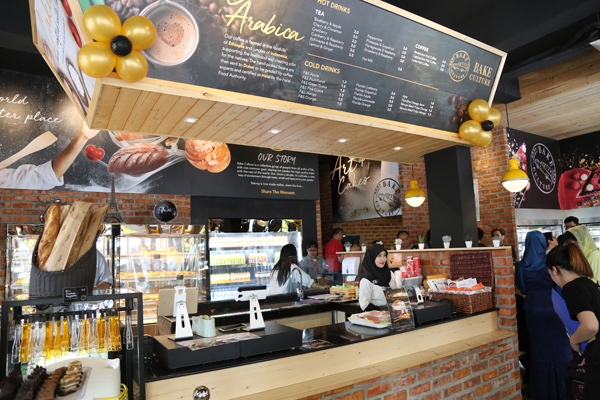 I love the authentic taste of it too and the hospitality from the restaurant owners. Now being back in Brunei, I have more appreciation of how bimbibap is being served and maybe, just maybe, my expectations in terms of presentation and taste have slightly increased. Farewell dinner. The awesome about this program was that we were fed very well and also on time. 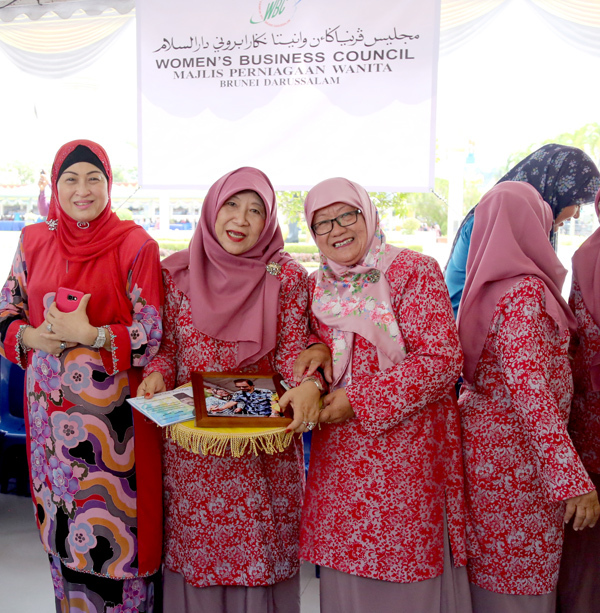 The program was so structured that they made meal times a priority and also on time. I don’t know how they did it but they pulled it off consistently for 5 straight days. Amazing!! 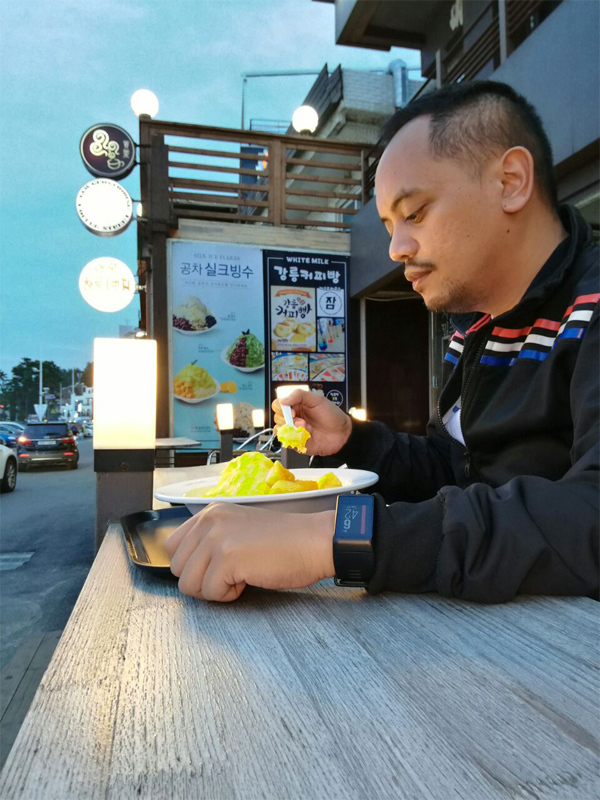 Our final dinner was Seoul Marina which was like an hour away from our hotel, Koreana and we hoped for a variety of choices as we had too much of kimchi during our previous meals. And yes we did!! The food was great and it was also an emotional farewell session as a few representatives from each group shared their learning and experiences from the #ACYLC2017. We have our own Facebook group page and it’s flooded with pictures and memories. You were right, this is not a good bye but merely a transitional period where we will have newer opportunities to meet once again. It has been three weeks and it’s still fresh in my memory. Thank you once again, MOFA Korea and The Korea Foundation for hosting us and this has been one of the best experiences in a long time. I hope to see more of this in the near future. One of our cute volunteers from Korea. Thank you for helping us out. She’s one awesome emcee and is a TV presenter for Arirang TV. 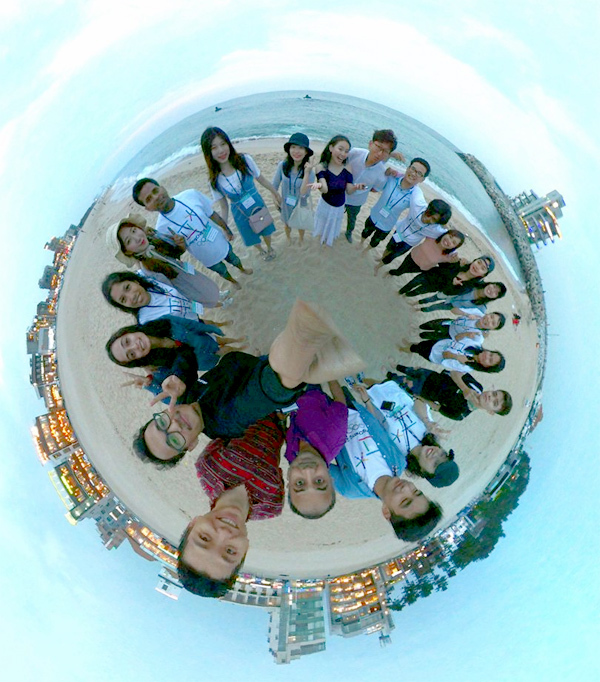 Nice shot with the Samsung 360 camera. Taken at Anmok Beach. 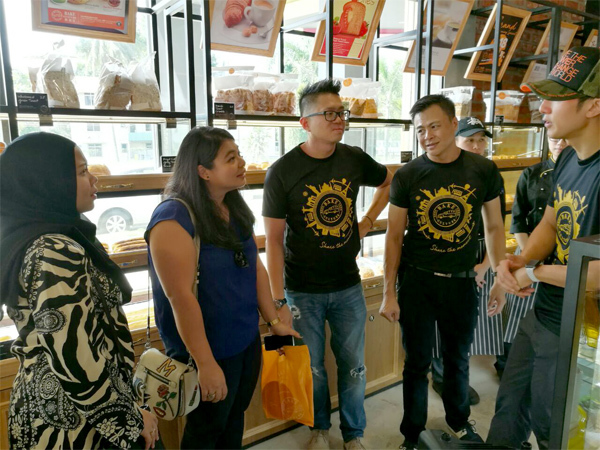 Vincent Pao, General Manager of Concepts Computer (3rd from left) and Richard Soo, the Branch Manager of Acer Sales and Service Sdn Bhd (2nd from left) hosted members of the media on the announcement of discounts for Acer products last week. 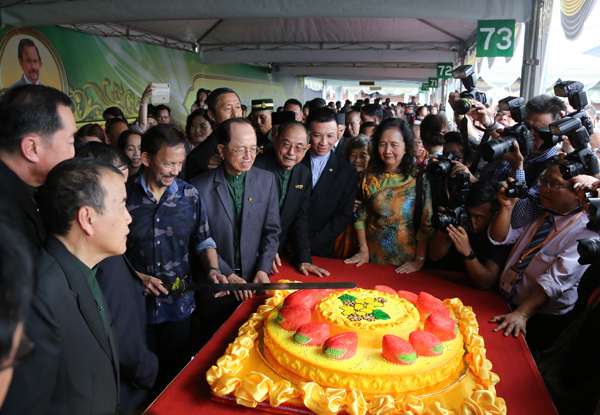 In conjunction with the 71st birthday celebrations of His Majesty Sultan Haji Hassanal Bolkiah Mu’izzaddin Waddaulah ibni Al-Marhum Sultan Haji Omar ‘Ali Saifuddien Sa’adul Khairi Waddien, Sultan and Yang Di-Pertuan of Brunei Darussalam, customers can enjoy 10 per cent off on selected Acer products from resellers until the end of July. 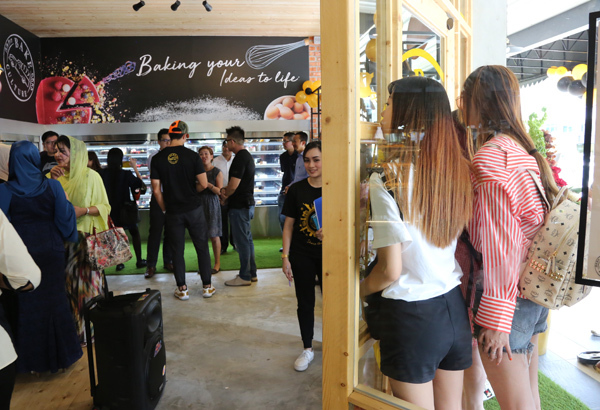 This was announced by Richard Soo, the Branch Manager of Acer Sales and Service Sdn Bhd, at the Concepts Computer showroom in Kampong Kiulap last week. 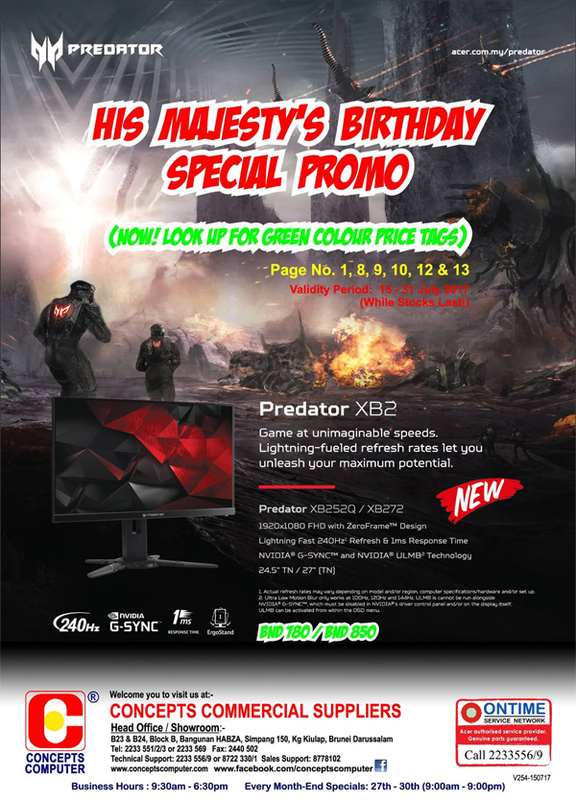 Concepts Computer will be offering the discounted Acer products under special green-coloured price tags. The products include Acer Predator monitors, laptops, Microsoft operating systems, Microsoft Office softwares, and antivirus programs. 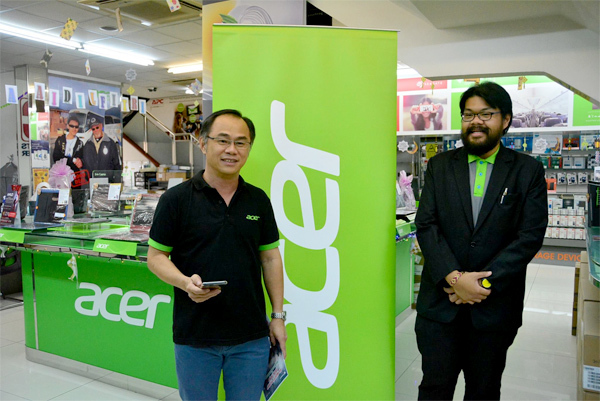 Zul Abdul Rahman, Marketing Executive at Concepts Computer, said that the 10 per cent discount on Acer products will also be offered by participating Acer products resellers in Brunei. Also present during the announcement were Vincent Pao, General Manager of Concepts Computer, and his spouse, as well as members of the media. 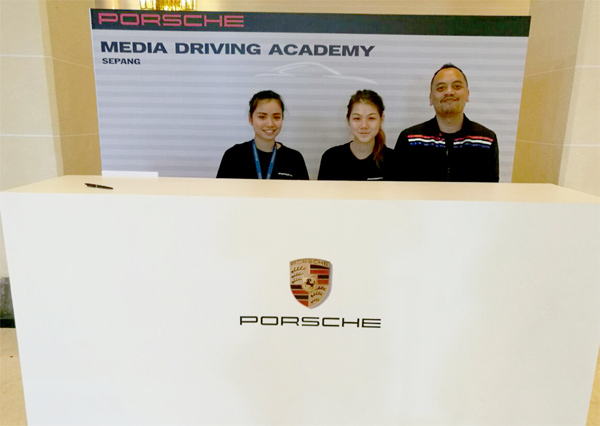 Porsche Asia Pacific announced recently the start of the highly anticipated Media Driving Academy (MDA) in Sepang, Malaysia, now in its third iteration. 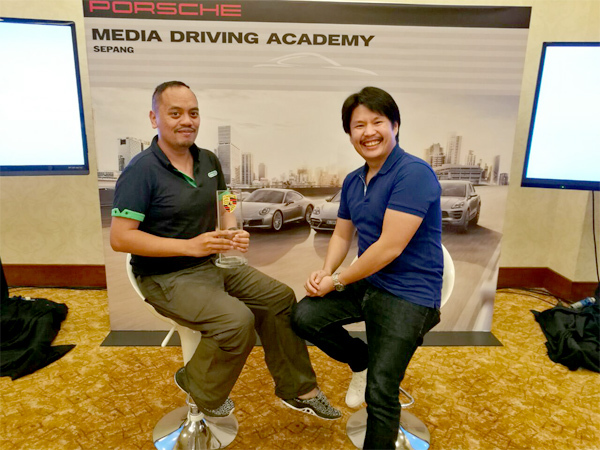 This year’s event, took place from 4th to 6th July 2017, gave Asia Pacific journalists the very first opportunity to drive the new Panamera Turbo and Panamera 4S on the racetrack, among a fleet of other Porsche cars. 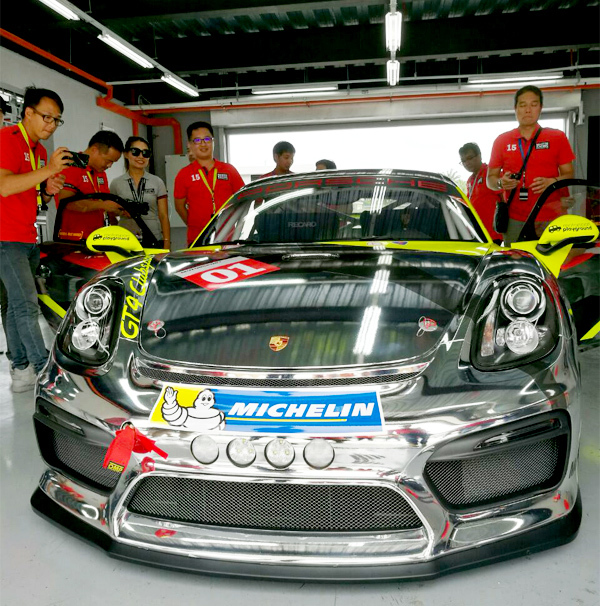 The Cayman GT4 Clubsport, a 283 kW (385 hp) mid-engined racer for motorsport newcomers, were also available for hot laps for the first time at the MDA. 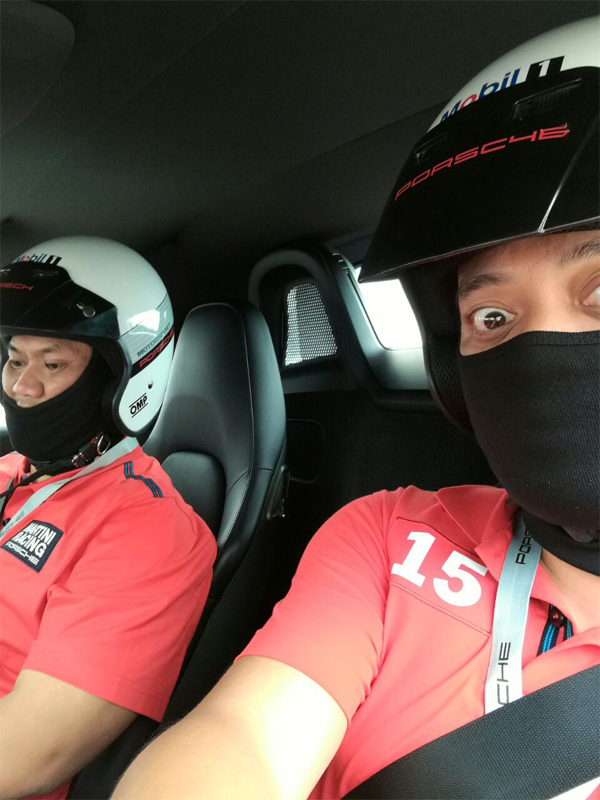 Well, hot laps meaning you get be driven by the driving instructors/professionals on full speed on the Sepang Circuit. 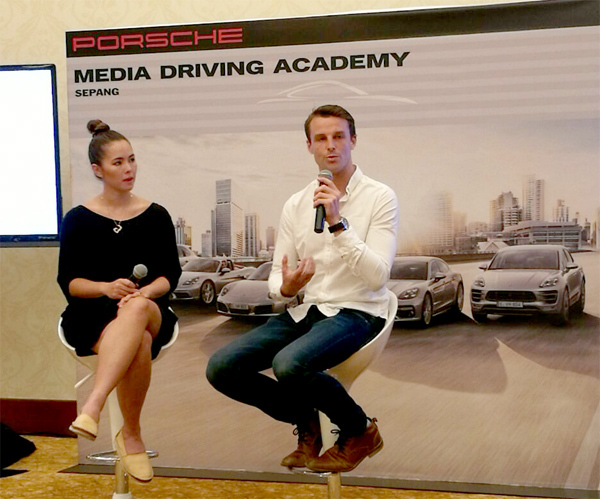 The lucky ones also had the opportunity to be driven by Earl Bamber, a Le Mans champion driver for Porsche in 2017. Awesome!!! 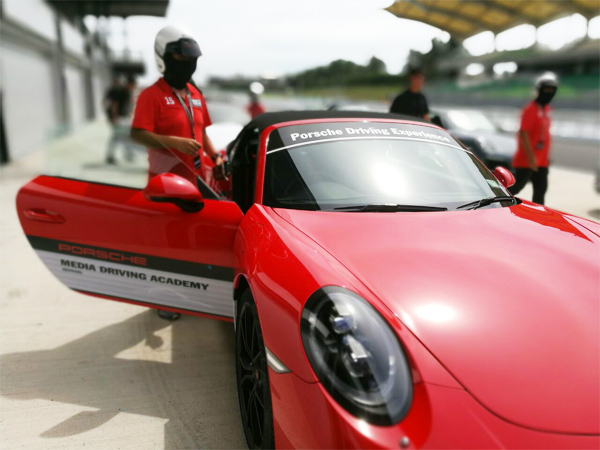 First launched in 2015 at Bira Circuit, Pattaya, Thailand, the MDA allows media to experience the maximum performance of Porsche cars through consecutive courses designed to sharpen driving skills in a safe environment with world-class Porsche instructors. 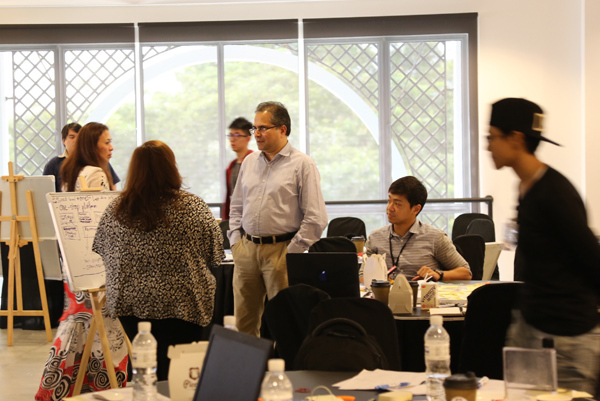 Journalists from 10 countries across the Asia Pacific region will participate in one of three courses – Individual, Professional or Elite. 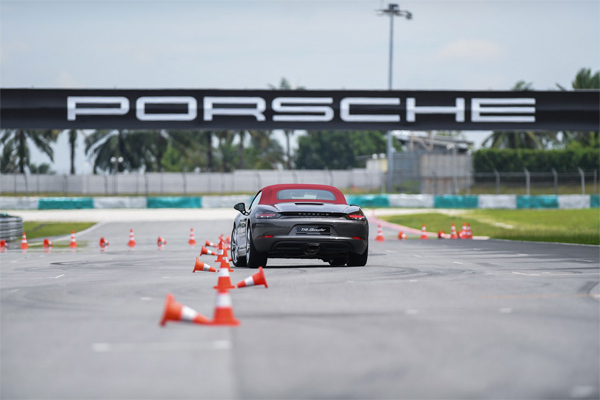 In addition to activities on the track, participants will experience theory workshops, including a motorsports conditioning session, driving physics workshop and a Q&A with Porsche certified instructors. 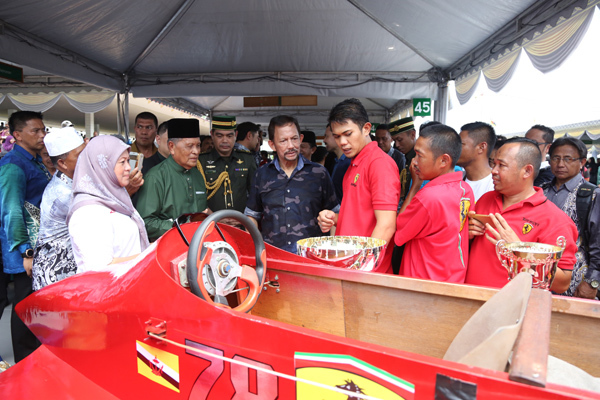 My Brunei entourage were Yursin Junaidi (Media Permata), Izam Said (Motoring BN) and I who attended the Individual category (entry level) while Aziz Idris of Borneo Bulletin had the privilege to be in the “Professional” category. 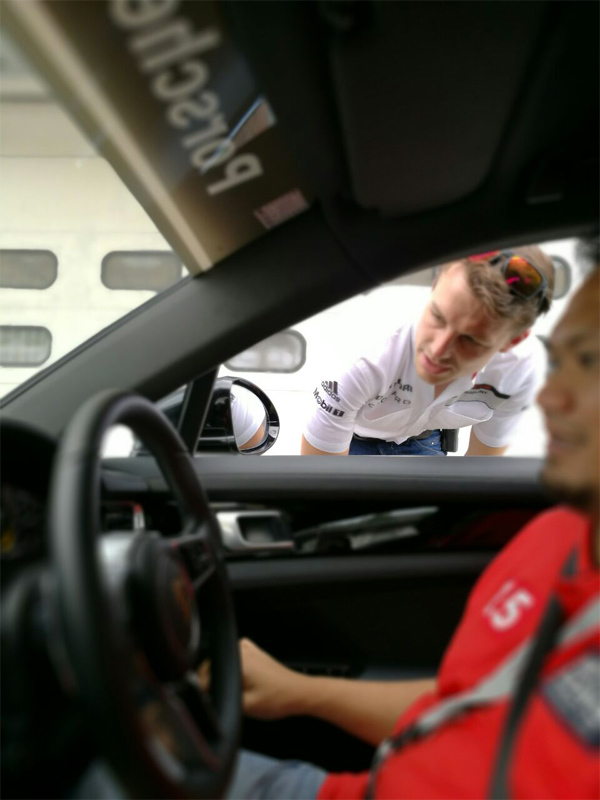 Following his win driving the Porsche 919 Hybrid at this year’s 24 Hours of Le Mans, the world’s longest-running endurance race, Earl Bamber will work with Elite and Individual course participants, and provide a taste of a day in the life of a Porsche LMP1 driver. Plus he is an awesome lad and down to earth. 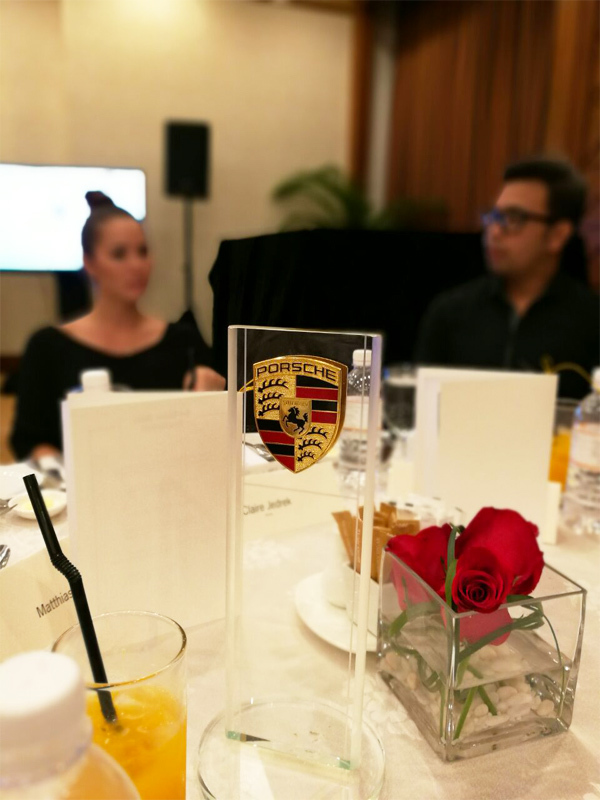 So what’s my favourite Porsche after this experience? 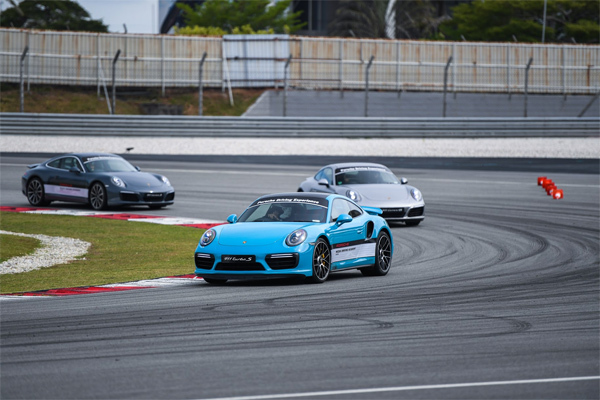 The Porsche 911 Carrera 4S if I’m not mistaken. 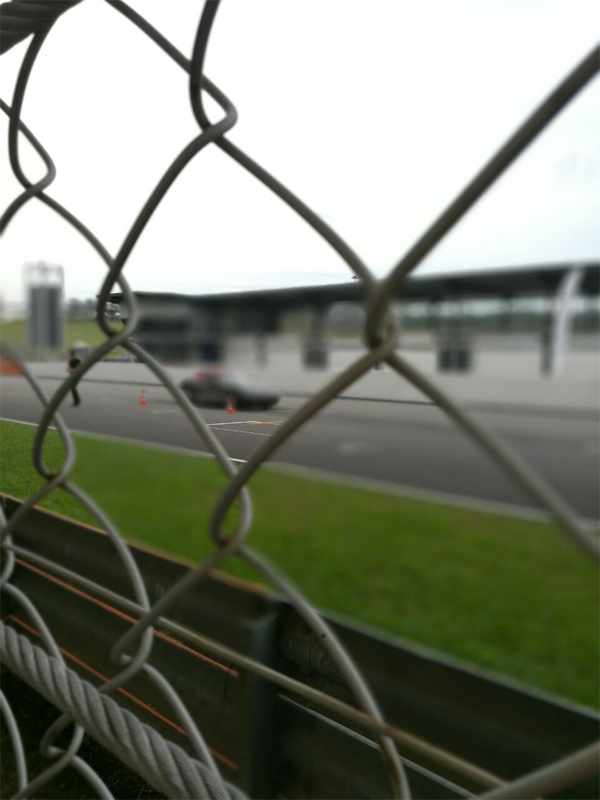 The Braking experience. 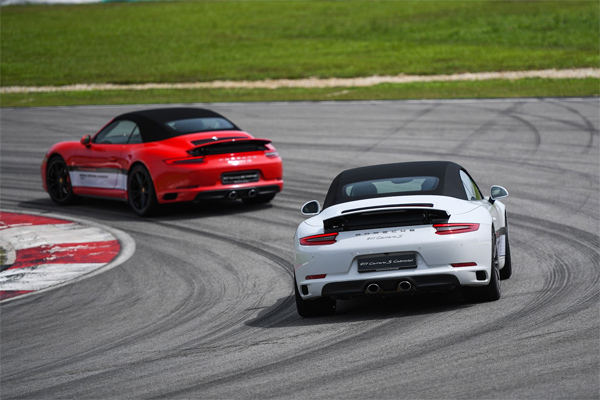 This exercise shows how awesome the Anti-Braking System (ABS) embedded in Porsche. We were accelerating so fast that my heart was left at the starting point. I love the adrenalin rush.